When you are from an area stricken by conflict and you have no proof of existence, easily transfering money can be nearly impossible. However, that didn’t stop this woman from funding her female-focused educational project in Afghanistan. Instead of fiat currency and traditional remittance services, she used Bitcoin and became an example that inspired Nicolas Cary, co-founder of Blockchain.info. 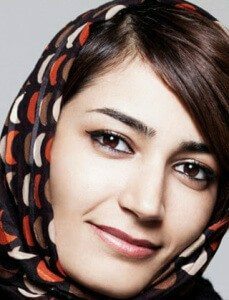 This was just another obstacle that Fereshteh Forough had to overcome. Her family was forced to leave Afghanistan, a country massacred by years of conflicts and violence, before Fereshteh was born. They moved to Iran, but then returned to their motherland after the collapse of the Taliban regime in 2002. The journey back left Fereshteh in shock. “On the way home, from the Iran border to Herat the road was unpaved and very difficult to drive on. We got close to the city when it was getting dark. I could barely see any lights. Instead, old lanterns hung outside of shops and only a few places had electricity for the night,” she wrote back in March in an article published by the Digital Currency Council. 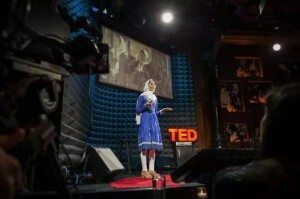 A few years later, she enrolled at Herat University in Afghanistan, earning a bachelor’s degree in Computer Science. Then she moved to Germany to get a master’s degree in Information Technology at the Technical University of Berlin. After all this, she realized Afghanistan was different. Still, the country wasn’t as evolved as Fereshteh would like and she particularly felt the challenges of being a woman working in technology. It was hard to find a job, become a teacher, move to a new city to look for better opportunities or start her own business in a place where 85 percent of women have no formal education and are illiterate. “Based on my own experiences of seeing this need to create an environment where Afghan women can succeed in technology, I founded Code To Inspire,” a Herat-based not-for-profit organization that teaches Afghan women how to code. Fereshteh wanted to set up a programing lab and develop an educational program that not only helped women become digitally literate, but also taught them how to become successful online freelancers. The plan was brilliant in theory, but Fereshteh had to find a smart way to make it work. Obviously, funds are necessary when setting up a not-for-profit organization. And although people and institutions are willing to help and donate, it’s the organization’s responsibility to manage and move the money. But because Fereshteh was born in Iran as a refugee, she didn’t have a proof of existence. And we all know that no traditional money transfer service will help you without identification. At one point, Fereshteh needed to move funding to the volunteers that were trying to help her set up Code To Inspire, but most companies refused to work with her or charged up to 50 percent in fees to move the organization’s money. So she turned to Bitcoin. The result was a hassle-free transaction process that changed the way this organization works. The money was received by the volunteers and all the information regarding the transactions was saved by the blockchain. “I was the co founder of Digital Citizen Fund (former Women’s Annex Foundation). We were using the Bitlanders (former Film Annex) platform to reward our content providers from Afghanistan for their blogging activities. We used to pay them in US dollars, but we faced many challenges when sending money to Afghanistan,” Fereshteh told 99Bitcoins. “The majority of our users were girls in high schools, so they weren’t old enough to have a bank account. Also, other Afghan users who were eligible to have a bank account just didn’t have it, as the majority of transactions in Afghanistan are cash-based. PayPal is not supported in Afghanistan. Using Western Union was not convenient for us and for the people who were getting paid due to the high fees. Using wire transactions also was time-consuming and costly. Fereshteh definitely agrees. Besides teaching her students about coding, she also shares knowledge about digital currencies like Bitcoin. “We believe cryptocurrencies are an amazing and empowering tool for people who are living in societies that are mainly unbanked and can be used to make women and girls financial independent,” she wrote back in March 2015. 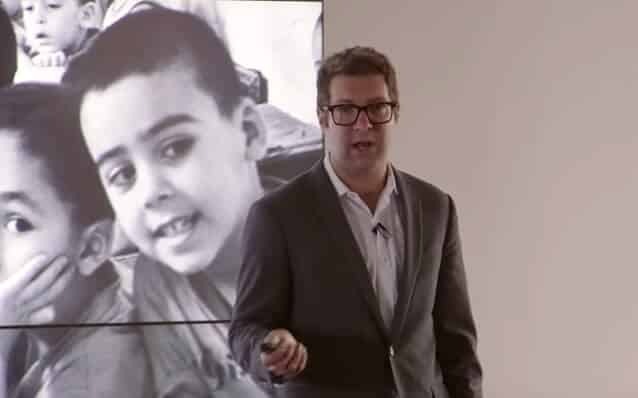 Fereshteh and Code To Inspire are currently raising funds to support the project on Indiegogo, while also accepting donations via the project’s website. 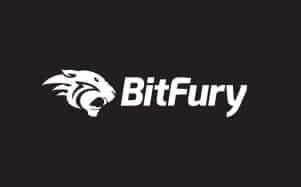 The well-known Bitcoin company and transaction processing platform BitFury is one of the foundation’s main donors. BitFury’s CEO Valery Vavilov is a true believer in Fereshteh’s work. “The technology industry is highly innovative and global. In order to continue this progress and evolution, diversity of experiences, expertise and opinions is vital. We need to encourage all participants and contributors of the tech community. BitFury is happy to help and give smart and determined young women who code to inspire the opportunity to pursue their dreams,” Vavilov told 99Bitcoins. Code To Inspire and the work of people like Fereshteh confirm something we already knew: that technology can be used to change lives. And Bitcoin is included in this new batch of revolutionary solutions. Cryptocurrency is an equalizer, much like the early days of the Internet, Fereshteh says. “People were hesitating to use it because they didn’t have enough knowledge about it. Adoption will take time. It depends on where you live and if the infrastructure of your country is ready. I think Afghanistan will definitely need more effort, resources and time to fully implement cryptocurrency,” she recognizes.